247Sports Chicago Bears reporter Matt Eurich joins Kevin Boilard to discuss the toughest opponents the Bears will face this upcoming season. Matt Eurich of the Chicago Bears on 247Sports connects some dots, regarding the team's moves so far this offseason. Matt Eurich of the Chicago Bears on 247Sports explains why the team is looking to trade running back Jordan Howard. Chicago Bears head coach Matt Nagy speaks with reporters at the NFL Scouting Combine. The Chicago Bears at the NFL Combine on 247Sports. Former Georgia linebacker and current NFL Draft prospect Natrez Patrick talks one-on-one with Kevin Boilard of 247Sports to discuss his 2018 comeback and more. Matt Eurich of Bears on 247Sports discusses Tarik Cohen's chances of stardom in 2019. Matt Eurich of Bears on 247Sports explains how the Bears earn more cap space this offseason. Jamey Eisenberg and Pete Prisco break down the notable offseason storylines regarding the Bears. 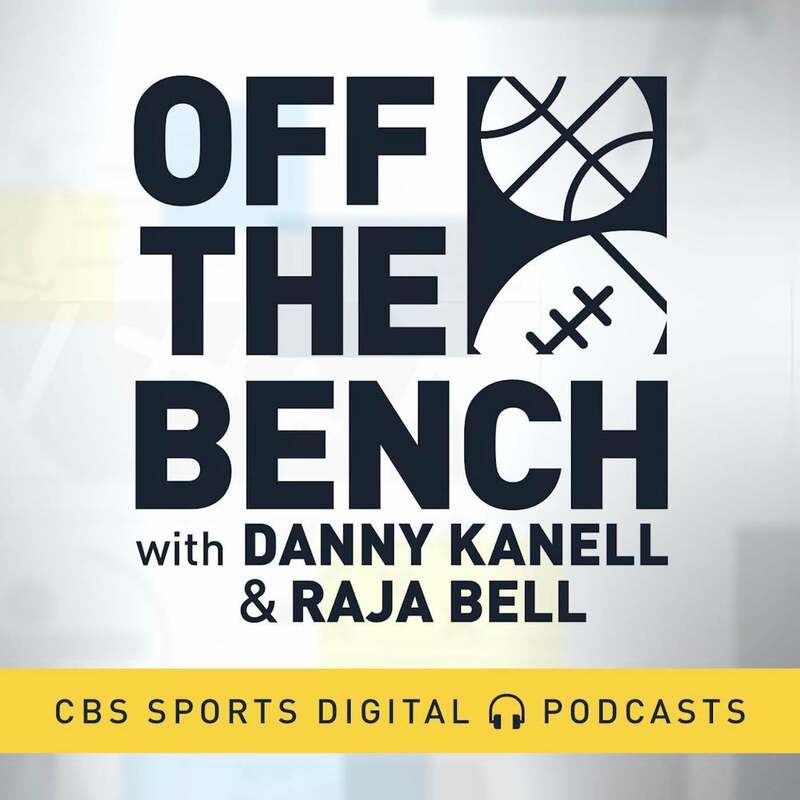 Bears quarterback Mitchell Trubisky, on behalf of Gatorade, joins Bill Reiter to discuss Chicago's 2018 season, his relationship with Matt Nagy, and what it's like facing both the Rams and the Patriots. Tune into Reiter's Block every Monday through Friday at 5 pm ET. Bears running back Tarik Cohen joins CBS Sports HQ to reflect on his success this season. What should the Bears do with Jordan Howard? Matt Eurich of Bears on 247Sports talks about Jordan Howard's role in Chicago moving forward. Should the Bears re-sign Adrian Amos or Bryce Callahan? Matt Eurich of Bears on 247Sports explains the tough spot Chicago is in with their secondary. 247Sports NFL Analyst Kevin Boilard discusses why the Ravens, Texans, Seahawks, and Bears all were knocked out of the NFL Playoffs. Jeff Kerr of the Philadelphia Eagles on 247Sports highlights Nick Foles' performance in a 16-15 win over the Chicago Bears in the Wild Card round of the NFC Playoffs. Matt Eurich of the Chicago Bears on 247Sports pins the team's 16-15 loss to the Philadelphia Eagles in the Wild Card round of the NFC Playoffs on kicker Cody Parkey. How will Bears test Nick Foles? On CBS Sports HQ, CBS Sports NFL analyst Brady Quinn discusses what the Bears will do to make life uncomfortable for QB Nick Foles and his rib injury. Matt Eurich of the Chicago Bears on 247Sports discusses the team's momentum heading into the NFC Wild Card Round. Previewing the Bears and Vikings in Week 17, presented by Buffalo Wild Wings. Matt Eurich of the Chicago Bears on 247Sports lays out the team's playoff implications heading into a Week 17 matchup with the Minnesota Vikings. 247Sports Chicago Bears reporter Matt Eurich joins Kevin Boilard to discuss how the Bears could move up in in the NFC playoff picture. Bigger key to Bears' playoff success: Cohen or Howard? 247Sports Chicago Bears reporter Matt Eurich joins Kevin Boilard to discuss which Bears running back will be the key to a deep run in the playoffs for the Bears. 247Sports Chicago Bears reporter Matt Eurich joins Kevin Boilard to discuss the impact Kyle Long would have on the Bears going into the playoffs. Previewing the Bears and 49ers in Week 16, presented by Buffalo Wild Wings. Matt Eurich of the Chicago Bears on 247Sports delivers his biggest takeaway from the team's 24-17 win over the Green Bay Packers in Week 15. 247Sports NFL Analyst Kevin Boilard identifies the five defenses that can lift their teams to a Super Bowl. On The Tuesday Touchdown at 247Sports, NFL Analyst Kevin Boilard lays out what the Chicago Bears need from QB Mitch Trubisky. 247Sports Chicago Bears reporter Matt Eurich joins Kevin Boilard to discuss how tough it is to play at historic Soldier Field late in the year. Will Mitch Trubisky hold Bears back in playoffs? 247Sports Chicago Bears reporter Matt Eurich joins Kevin Boilard to discuss if the young quarterback has what it takes to take the Bears far into the playoffs. 247Sports Chicago Bears reporter Matt Eurich joins Kevin Boilard to discuss the recent play by the fourth year nose tackle. 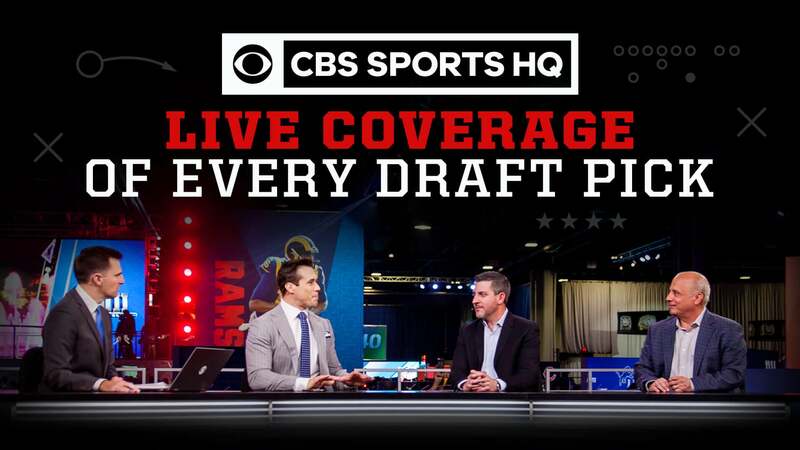 On CBS Sports HQ, CBS Sports NFL analyst Brady Quinn joins Casey Keirnan and Jorge Andres to break down the Sunday night matchup between the Bears and Rams. On CBS Sports HQ, Pete Prisco and Kelly Stewart offer their expert picks for the Rams at Bears on Sunday Night Football, presented by Applebee's. Previewing the Rams and Bears in Week 14, presented by Buffalo Wild Wings. On CBS Sports HQ, Kelly Stewart and Kenny White break down how to bet the Rams-Bears SNF game. Matt Eurich of the Chicago Bears on 247Sports shares his biggest takeaway from the team's 30-27 (OT) loss to the Giants in Week 13. 247Sports Chicago Bears reporter Matt Eurich joins Kevin Boilard to discuss if the second year safety should be in the running for Defensive Player of the Year. 247Sports Chicago Bears reporter Matt Eurich joins Kevin Boilard to discuss the latest on Mitch Trubisky's injury and if Chase Daniel can start a second week in a row. On The Tuesday Touchdown at 247Sports, NFL Analyst Kevin Boilard explains why it took him so long to include the Chicago Bears in his top five teams. Previewing the Bears and Giants in Week 13, presented by Buffalo Wild Wings. Taylor Gabriel joins Nick Kostos and Bryant McFadden to discuss the Monday night shootout between the Chiefs and the Rams, and the changes in the league that are making the game more offensively oriented. Taylor Gabriel joins Nick Kostos and Bryant McFadden to discuss the problems that his former team, the Atlanta Falcons, are facing this season, and why Julio Jones doesn't score as many touchdowns as expected. Chicago Bears WR Taylor Gabriel joins Bryant McFadden to discuss the Bears' success this season, his nickname "Turbo," and his confidence in his quarterback Mitchell Trubisky. Max DeMara of the Detroit Lions on 247Sports breaks down the reasons for the team's 23-16 loss to the Bears on Thanksgiving. Matt Eurich of the Chicago Bears on 247Sports delivers his Thanksgiving turkey leg after the team's 23-16 win over the Lions. Jim Nantz and Tony Romo recap the Bears' Thanksgiving win over the Lions behind the consistency of their backup QB and the strength of their impressive defense. On CBS Sports HQ, Pete Prisco and Kelly Stewart each offer their most confident pick for Week 12 in the NFL, presented by Applebee's. On CBS Sports HQ, Pete Prisco and Kelly Stewart offer their expert picks for Bears at Lions, presented by Applebee's. Previewing the Bears and Lions in Week 12, presented by Buffalo Wild Wings. 247Sports NFL writer Max DeMara picks the Lions-Bears Turkey Day winner. On CBS Sports HQ, Kenny White and Micah Roberts break down the top betting angle for the Bears-Lions Thanksgiving Day matchup. How far can Mitchell Trubisky carry the Bears? 247Sports Chicago Bears reporter Matt Eurich joins Kevin Boilard to discuss if Mitchell Trubisky can take the Bears far into the season. 247Sports Chicago Bears reporter Matt Eurich joins Kevin Boilard to discuss how the Bears can further increase their chances of locking up the NFC North. 247Sports Chicago Bears reporter Matt Eurich joins Kevin Boilard to discuss how Akiem Hicks is one of the Bears underrated weapons. Former NFL QB Brady Quinn breaks down his expert picks for the upcoming Thanksgiving games, presented by Applebee's. On The 247Sports Tuesday Touchdown, NFL Analyst Kevin Boilard lays out the Chicago Bears' path to victory over the Minnesota Vikings. 247Sports NFL Analyst Kevin Boilard breaks down turnover differentials across the league. Pete Prisco and Brady Quinn give you their Pickem picks for Week 11 of the 2018 NFL season. Previewing the Vikings and Bears in Week 11, presented by Buffalo Wild Wings. Kelly Stewart and Micah Roberts discuss their must see parlay for week 11 in the NFL. Kelly Stewart and Micah Roberts break down how to bet the Vikings-Bears SNF game. 247Sports Chicago Bears reporter Matt Eurich joins Kevin Boilard to discuss how the defensive freak can help the Bears in their upcoming games. 247Sports Chicago Bears reporter Matt Eurich joins Kevin Boilard to discuss how crucial a victory over the Vikings would be for the Bears playoff chances. Has Bears QB Mitchell Trubisky hit his stride? 247Sports Chicago Bears reporter Matt Eurich joins Kevin Boilard to discuss if the young quarterback is hitting his mark at the right time. Chicago Bears QB Mitchell Trubisky is this week's Wonderful Player of the Game. Matt Eurich of the Chicago Bears on 247Sports breaks down the team's 34-22 win over the Detroit Lions. 247Sports Chicago Bears reporter Matt Eurich joins Kevin Boilard to discuss how the Bears can handle their upcoming stretch of divisional games. 247Sports Chicago Bears reporter Matt Eurich joins Kevin Boilard to evaluate the quarterback's special ability. Do Bears need Khalil Mack for tough stretch ahead? 247Sports Chicago Bears reporter Matt Eurich joins Kevin Boilard to discuss if Khalil Mack is necessary for their upcoming games. Previewing the Lions and Bears in Week 10, presented by Buffalo Wild Wings. Matt Eurich of the Chicago Bears on 247Sports breaks down the team's defensive performance in a 41-9 win over the Buffalo Bills in Week 9. 247Sports Chicago Bears reporter Matt Eurich joins Kevin Boilard to discuss how the Bears can continue to tackle the wild NFC North division this season. Who needs to step up with Bears LB Khalil Mack hurting? 247Sports Chicago Bears reporter Matt Eurich joins Kevin Boilard to discuss who needs to pick up the work load to make up for the injured Khalil Mack. 247Sports Chicago Bears reporter Matt Eurich joins Kevin Boilard to discuss the future of Jordan Howard this season. Previewing the Bears and Bills in Week 9, presented by Buffalo Wild Wings. Jim Nantz and Tony Romo recap the Bears win over the Jets. Mitchell Trubisky discusses the Bears drive to seal the game and how well the offense played. Phil Simms and Boomer Esiason break down the upcoming matchup between the Jets and Bears. On CBS Sports HQ, CBS Sports NFL Insider Jason La Canfora breaks down the Bears' struggles and the Lions' success. 247Sports NFL Analyst Kevin Boilard joins Mike DiSipio to discuss the problem with Mitch Trubisky after the Bears' Week 7 loss to the Patriots. Ian Eagle and Dan Fouts break down the late drama in the Patriots-Bears game as the Patriots pull out the win 38-31. Phil Simms and Boomer Esiason break down the upcoming matchup between the Patriots and Bears. On The Tuesday Touchdown at 247Sports, NFL Analyst Kevin Boilard to outline the unexpected standings in the NFC North. On The Tuesday Touchdown at 247Sports, NFL Analyst Kevin Boilard pumps the brakes on swelling hype for Chicago Bears quarterback Mitchell Trubisky. Pete Prisco and Brady Quinn preview the Bears at Dolphins, presented by Buffalo Wild Wings. On the Tuesday Touchdown at 247Sports, NFL Analyst Kevin Boilard points out one big issue with the Chicago Bears' schedule. Who should owners target between WRs Taywan Taylor, Taylor Gabriel and Keke Coutee? Can Tarik Cohen have another big week? Can RB Tarik Cohen replicate his Week 4 performance? Matt Eurich of the Chicago Bears on 247Sports joins Kevin Boilard to lay out the next challenge for Mitch Trubisky. Matt Eurich of the Chicago Bears on 247Sports joins Kevin Boilard to evaluate Matt Nagy as an offensive play caller. Surprised Bears Lead NFC North At This Point? 247Sports NFL Analyst Kevin Boilard joins Mike DiSipio to break down Mitchell Trubisky's performance in Week 4. On The Tuesday Touchdown at 247Sports, NFL Analyst Kevin Boilard explains why the Chicago Bears are still unproven. 247Sports Chicago Bears reporter Matt Eurich joins Kevin Boilard to discuss how the defense has helped compliment new weapon Khalil Mack. Why aren't Bears using RB Tarik Cohen more? 247Sports Chicago Bears reporter Matt Eurich joins Kevin Boilard to discuss why Tarik Cohen is being used a lot less in this year's offense. 247Sports Chicago Bears reporter Matt Eurich joins Kevin Boilard to discuss the latest on Anthony Miller's injury status. Pete Prisco and Brady Quinn give you their Pickem picks for week 4 of the 2018 NFL season. Jamey Eisenberg and Pete Prisco join HQ to discuss the biggest takeaways from the late slate of NFL games in Week 3, including Josh Rosen's debut and the Rams winning the battle for L.A. against the Chargers. Are the Bears legitimate contenders in NFC North? 247Sports Chicago Bears reporter Matt Eurich joins Kevin Boilard to discuss if the Bears actually have a shot of winning the NFC North. 247Sports Chicago Bears reporter Matt Eurich joins Kevin Boilard to discuss if Khalil Mack can become the Defensive Player of the Year. 247Sports Chicago Bears reporter Matt Eurich joins Kevin Boilard to discuss what Mitch Trubisky has to do to improve his play at quarterback. Can the Bears or the Cardinals prove Pete Prisco wrong? Pete Prisco and Brady Quinn break down Bears at Cardinals, presented by Buffalo Wild Wings. Former NFL QB Brady Quinn shares his pick for the Week 3 matchup between the Jets and Browns and previews the Monday night football matchup between the Seahawks and Bears. Will Khalil Mack dominate the Seahawks offensive line? Kenny White and Micah Roberts break down all the betting angles for the Week 2 matchup between the Seahawks and Bears. CBS Sports senior NFL writer Pete Prisco joins HQ to evaluate Mitchell Trubisky's Week 1 performance. CBS Sports senior NFL writer Pete Prisco joins HQ to break down down Khalil Mack's first game as a Chicago Bear. 247Sports Chicago Bears reporter Matt Eurich joins Kevin Boilard to discuss what statement the Bears defense left for the NFC North. What was wrong with Bears QB Mitchell Trubisky vs. Packers? 247Sports Chicago Bears reporter Matt Eurich joins Kevin Boilard to discuss what went wrong with QB Mitchell Trubisky on Sunday night. 247Sports Chicago Bears reporter Matt Eurich joins Kevin Boilard to discuss how the Bears plan to use Mack in the future. Jason La Canfora has more on the report that the Rams offered an 'aggressive' deal for Khalil Mack. Brian Jones of the Green Bay Packers on 247Sports joins Kevin Boilard to highlight the path to victory. Should owners start TE Jimmy Graham or TE Trey Burton? Pete Prisco and Brady Quinn preview the Bears at Packers in Week 1. How Much Does Loss Of Khalil Mack Change Raiders? Bryant McFadden and Will Brinson discuss just how much the loss of Mack will impact the Raiders this season. Bryant McFadden and Will Brinson break down what sort of impact the former Defensive Player of the Year will have right away in Chicago. 247Sports NFL Analyst Kevin Boilard answers a phone call from a Chicago Bears fan on The Tuesday Touchdown, which airs on Facebook Live. Will QB Mitch Trubisky be a stud or dud in Fantasy Football this season? Kelly Stewart and Micah Roberts break down all the betting angles for the week 1 match-up between the Bears and Packers.